This is a type of beverage that I always like to drink, and also use for one of my favourite dish - Glutinous Rice Wine Chicken 糯米黄酒鸡. See recipe here. Wash rice and soak it overnight. Use a cheesecloth and put uncooked rice on it. 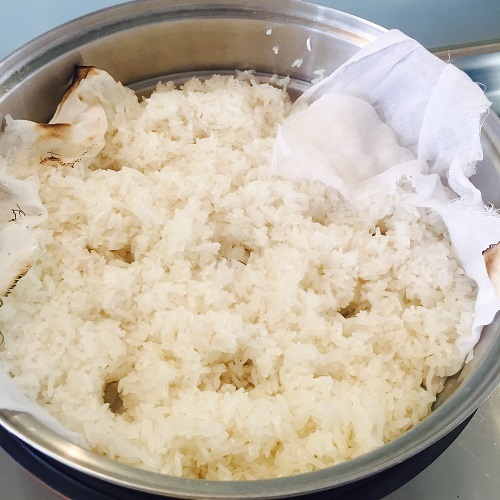 Steam rice for about 20-30 mins on high heat. 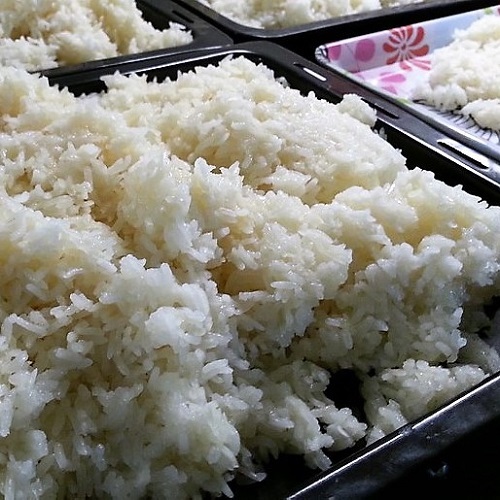 The rice will be slightly translucent when cooked. Cool the rice on plates. It should take around 2-3 hours. You may also run cool water over the to cool the rice down. 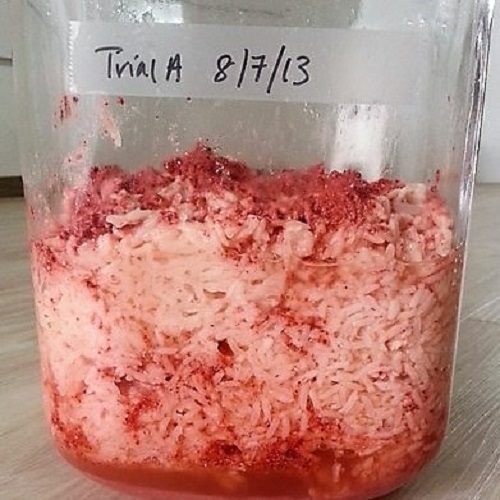 While waiting for the rice to cool down, grind the wine yeast into powder form. Dip your hands in water and grab a handful of cooked rice and dip into the powdered yeast. 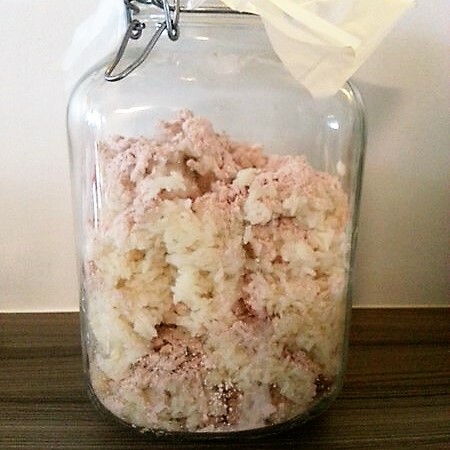 When the rice is coated with the yeast, put into a glass container that has a cover. 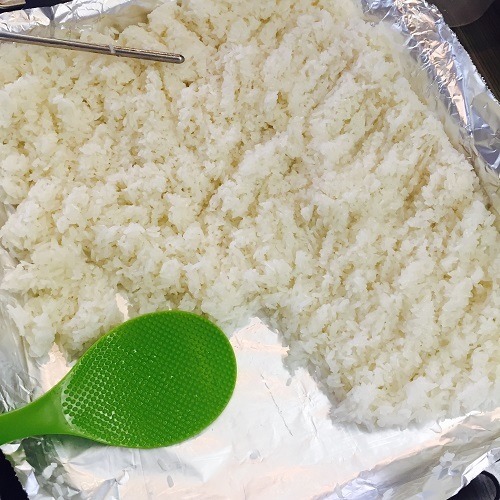 Once you have laid all the rice in the container, close the cover lightly and place it in a warm spot to leave for fermentation. It is important that heat is maintained during the fermentation process, so as to achieve its best results. 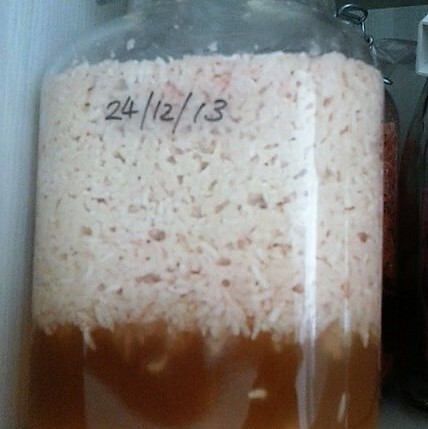 During the first 3 days, the rice will break down with the yeast and bubbles will start forming. 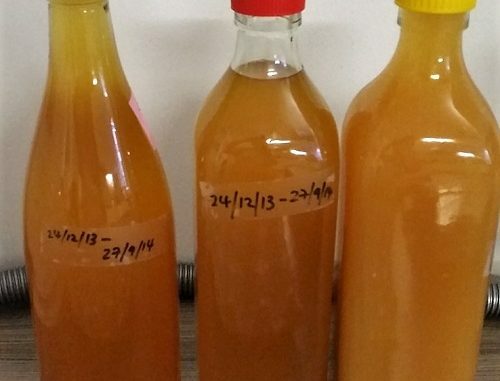 The process will take around 21 days, but if you put it longer, it is fine as well. I usually leave it for months or even up to a year. 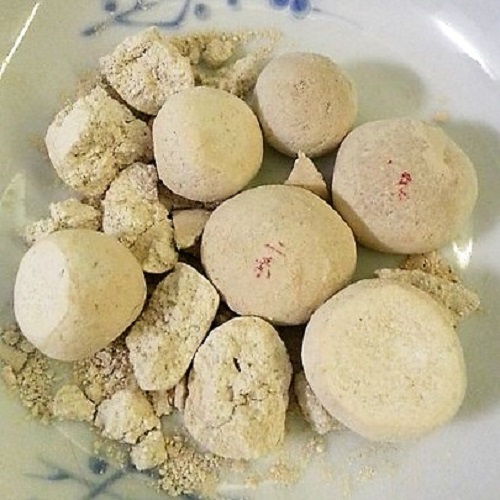 You can also make Glutinous Rice Wine Chicken. See recipe here.